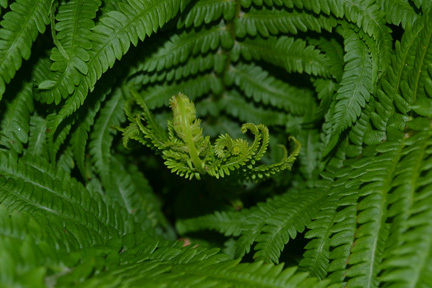 Unfurling like a fern working from the dark, protective center to the light, getting stronger by the hour – This is the experience I have when embarking on a new body of work. From the inspiration to sketching, formulating words that provide focus and suggest the overall theme and mood, it is a slow and careful process. My new venture of creating small art every day of the year is off to a great start. I have chosen my format and am now spending a short amount of time each day on creating my “Journal Artlets”. Images will be posted once I have my first week completed. I restrict myself to no more than 15 minutes per Artlet to foster spontaneity. A stickler for detail and over-thinking a project I have chosen this as my way to relax and play while embracing my inner child. 03 Jan	This entry was published on January 3, 2012 at 9:10 am and is filed under Creativity Update. Bookmark the permalink. Follow any comments here with the RSS feed for this post.